 “List of government bids related to re-education facilities”, Jamestown Foundation, May 15, 2017. “According to Washington, Peking has just banned the Koran (sic)”, Translation Anoosha Boralessa, Voltaire Network, 6 October 2017. “Western Campaign for the Rights of Chinese Islamists”, Translation Anoosha Boralessa, Voltaire Network, 18 November 2018. This Committee, created in 2001, is composed of 15 members : 5 from the Senate, 5 from the House of Representatives, and 5 from the federal government. The Trump administration has not yet named anyone to sit on this Committee. “Turkey condemns China”, Voltaire Network, 9 February 2019. “China responds to Turkey”, Voltaire Network, 11 February 2019. “Human Rights in Xinjiang – Development and Progress”, Voltaire Network, 1 June 2017. “Cultural Protection and Development in Xinjiang”, Voltaire Network, 13 December 2018. 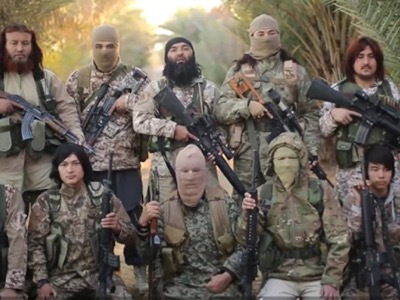 “Jihadists returning from Syria: already more than 150 dead in China”, Voltaire Network, 6 November 2014. “China revises regulation on religious affairs”, Voltaire Network, 7 September 2017. The « Five Eyes » is a military alliance founded during the Second World War, comprising Australia, Canada, the USA, New Zealand and the United Kingdom. It also manages the Echelon interception system as well as the « promotion of democracy ». « Que se passe-t-il dans le Xinjiang ? », par Domenico Losurdo, Traduction Marie-Ange Patrizio, Réseau Voltaire, 12 juillet 2009. “Erik Prince invests in China”, Translation Anoosha Boralessa, Voltaire Network, 7 February 2019. 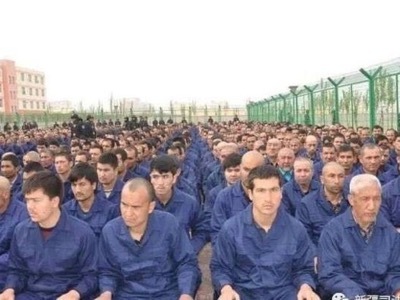 “The 18,000 al-Qaeda Uighurs in Syria”, Translation Roger Lagassé, Voltaire Network, 21 August 2018.